Large entrance hall with large white door frame. Glass arch above. 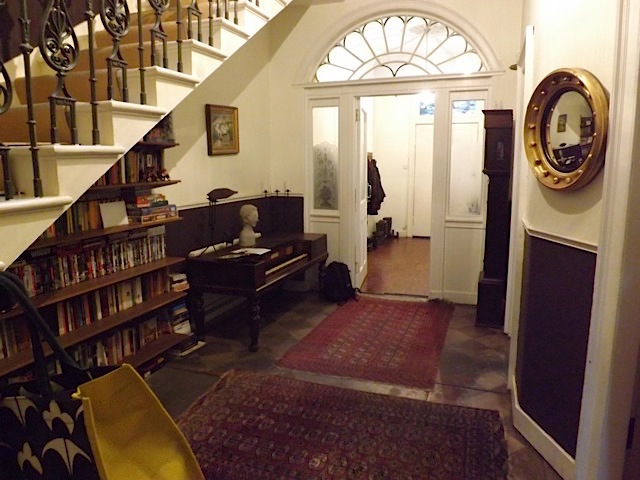 Piano in the entrance hall. Original chequered stone flooring. Wooden shelved bookcase. Grandfather clock. Persian rugs.